Arthur Jafa is best known for his 2016 video, Love Is The Message, The Message Is Death. Some time in early 2016, Arthur Jafa spliced together, in an almost doodle-like manner, a series of images and video clips into a short montage film. 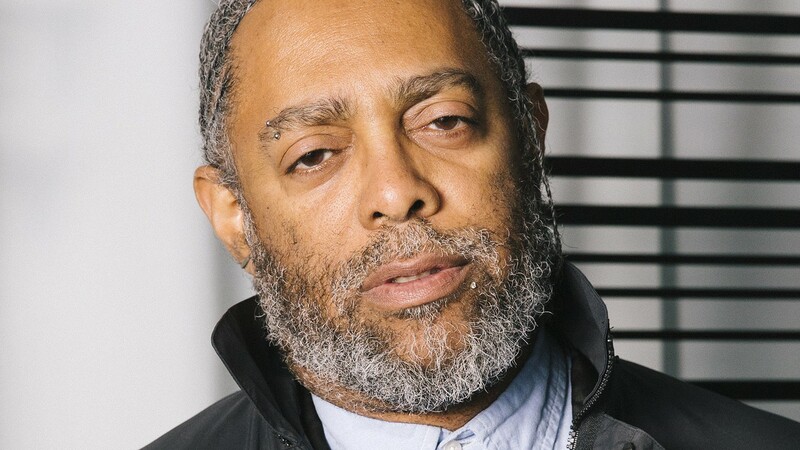 The artist and filmmaker, who had been collecting images of police brutality, placed such scenes within a compilation of found footage that seemed to span centuries' worth of Black American history and existence. "It kind of just almost auto-assembled itself," Jafa said by phone from Los Angeles, where he lives. "I actually put it together in about two hours — about 80 percent of it was done in two hours." A few days after that initial creation, Jafa happened upon Kanye West's performance of his gospel-tinged rap song "Ultralight Beam" on Saturday Night Live. Jafa laid the track over his film, and without much thought, completed what would become the sensation known as Love is the Message; the Message is Death. Though Jafa initially intended to casually put it on YouTube, the video made its rounds in various ways, particularly with the help of his friend, the filmmaker Kahlil Joseph, ultimately leading to its video installation in a solo show at Gavin Brown's Enterprise in New York. The film — a sprawling seven-minute work that shuffles from Black icons in motion to almost meme-like, WorldStar-esque clips of Black people to historic and contemporary footage of racist violence — had a profound effect on viewers, in part perhaps due to the show's opening just days following the 2016 presidential election. Jafa, the cinematographer behind the seminal film Daughters of the Dust, had been largely quiet for some time, but the unexpected reaction pulled him back into the art world with sudden momentum. He has since been exhibiting new works internationally, to great acclaim, and shooting and directing music videos for artists like Solange and Jay-Z. "I'm still trying to figure out what [the film] did for me — or to me," the 58-year old artist said with a laugh. "I tell people it's my 'Purple Rain.'" Love is the Message might be seen as a sort of companion piece to his new work The White Album — a video installation premiering at Jafa's new solo exhibition at the Berkeley Art Museum & Pacific Film Archive, opening Dec. 12 and running through March 24 — if at least in their formal and stylistic structure. Both present a montage of found footage clips that in their full compilations inspire an unusually subconscious — as compendiums of familiar visual imagery — examination of the dynamics of race. Love is the Message sees an all-Black crowd at a basketball game swaying in unison, civil rights-era masses, an unarmed Walter Scott being shot by a police officer, Barack Obama singing "Amazing Grace." In The White Album, a white teenager rouses a sports crowd around him as he dances to Bon Jovi, a white man in his car offers a clear-eyed condemnation of the white supremacist nature of American society, a white teenage girl laments what she sees as racism against white people. Together, the films have an effect of the visceral; they inspire what Jafa refers to as "affective proximity" — how images take on new meaning in the way they are placed sequentially in relationship to each other. "I've been told that I'm not the best person in terms of talking about what it's about," Jafa said in reference to Love is the Message. That isn't to say Jafa doesn't try, nor is he purposefully evasive or vague about his work. Conversely, Jafa often falls into rabbit hole monologues: offering considerations of Blackness that run from the abstract and analytical to the academic and historical, that hopscotch from the inherent limitations of Black cinema to the racial dynamics behind the evolution of the standard length of basketball shorts. "Black sociality" is mentioned more than once, which is perhaps the simplest way to encapsulate the concerns of his work and a shorthand way to describe the revolutionary nature of Love is the Message in its full-fledged distillation of Black existence in this nation, in all of its pain and persistence. To say what The White Album is "about" is just as unwieldy a task. It might be enough to say that it trains its eyes on whiteness (with video clips of both Black and white people), though there is little true thematic shift. "For me, it's totally consistent with all the things I talk about," Jafa said. The work is not produced out of some greater urgency or a reaction to fraught times, as the notion of white supremacy's enduring presence has become recently magnified. "It wasn't made in response to Trump," Jafa said. "It certainly wasn't envisioned in relationship to Trump because it was all prior to Trump." Jafa added that he thinks Black people were wholly unsurprised when Trump was elected — there was no sudden shift in reality. Jafa shirks any reference to The White Album as "activism." The work, all of his work, is just a reflection of his ruminations. And for The White Album, the subject matter is only natural. "How can you not think about 'white' in this society? How is that possible for a thinking, feeling person to not think about it? You're not given a choice," Jafa said, with a wry chuckle. But the work is not meant to be an indictment of the viewer, nor of white people. "Whiteness, patriarchy — those things should all be abolished," he said. "And for people or those who would understand that as an attack on 'white people,' then that's just a problem they have. In the same way, if you [attack] patriarchy, that's not an attack on me. It's an attack on the kind of privilege that men automatically assume, often unconsciously, sometimes consciously." This kind of thinking, he clarifies, is not indicative of an agenda or grand question behind the film; it is not his call for viewers to interrogate themselves. "This is just me contemplating it as a thing. I don't really care," Jafa said. "I make things for myself at the end of the day. I make things that I find interesting, and I hope people find them interesting. I don't really have any prescriptions for how people should take it." It's this mentality that perhaps makes The White Album's video montage a fascinatingly unpredictable, searching work — how visitors take it is not something he generally contemplates. With his new sci-fi novel, the Oakland author paints a future with shades of gray.